Beneath your feet, there’s an invisible universe of infrastructure. As part of ongoing efforts to improve our work and better understand the needs of customers, the Philadelphia Water Department is conducting a comprehensive survey intended collect feedback on a wide range of services. The 2017 Customer Feedback Survey, made possible through a partnership with the University of Pennsylvania, measures public opinion and allows the department to gauge what people in Philadelphia think about PWD and the services we provide. Any customer over 18 is eligible to take the survey. Participants will automatically enter a raffle to win one of many $100 gift cards. Survey instructions have been included in a flyer sent along with May 2017 water bills. The survey can be accessed online here or by texting @WATER to 39242. This blog is part of our Infrastructure Week 2017 campaign. See our Twitter, Facebook and Instagram accounts for exclusive content not available on the blog. We’ll be talking about a variety of projects and topics May 15-19. Learn more about the infrastructure that keeps our city running and help us make the case for smart investments in our nation’s water, roads, bridges, airports and more. Breaks like those at Bakers Centre are unusual for a few reasons, not least of which is amount of water that spilled. In Philadelphia over the last five years, we’ve average a little over two main breaks per day—a rate that is actually less than the national average. Most of our breaks involve mains that are under two inches in diameter and don’t make the news because the impacts are, in comparison, minor. For our final Infrastructure Week post, we are looking at a massive, multi-year project that will help reduce flooding related to heavy rains in several neighborhoods. Like many other cities, Philadelphia is dealing with a sewer system designed for a time when there were far fewer hard surfaces like streets, parking lots and buildings. 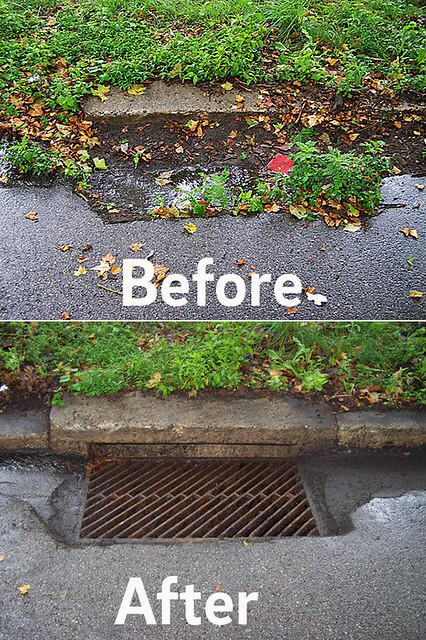 Because those surfaces don’t absorb rain, the water becomes stormwater runoff, which can overwhelm sewers, leading to localized flooding and combined sewer overflows. While the City is relying on Green Stormwater Infrastructure investments made through the Green City, Clean Waters program to deal with this challenge, those green tools are more effective when we also improve our traditional sewer system. A good example of an investment in our existing system that will enhance Green City, Clean Waters projects is the Cohocksink Storm Flood Relief project, also called the Northern Liberties SFR. The project is named after the Cohocksink Creek, which once flowed through Kensington and Northern Liberties and emptied into the Delaware River not far from where SugarHouse Casino stands today. Like many small streams in Philadelphia, the Cohocksink was covered over and integrated into the sewer system in the mid to late 1800s. Today, the Cohocksink sewer system must manage stormwater drainage from more than 1,000 acres of urban land. 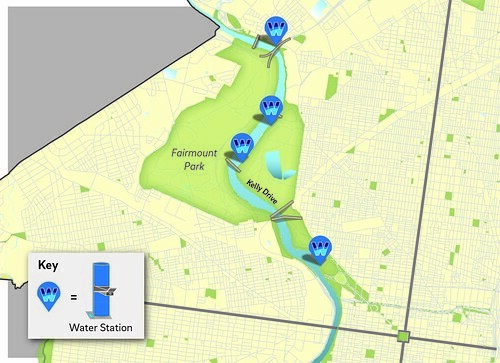 To get the inside scoop on the Cohocksink improvements, we put a few questions to project manager Bill Dobbins, an engineer who has worked with Philadelphia Water since 2001.